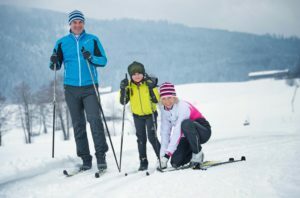 Nordic Resorts run by families are great for family winter vacations, accommodating both parents and kids, and packed with something for every family member from fresh home cooked food to the atmosphere and friendly vibe. These family-run Nordic resorts offer family clientele a combination of togetherness and/or solo time. There’s never a concern about nothing to do because there are so many choices. From reading a book by a fire to hiking, sledding, cross country skiing, snowshoeing, ice skating to alpine skiing often nearby. Many of these recreational activities are perfect for family bonding and they create joint memories to last a lifetime. Some folks like to simply unplug and enjoy being away from the hurried world of jobs, school, schedules, and commitments. Many families opt for their vacation time to become untethered from modern-day trappings such as smart phones and social media, for a heightened state of relaxation to enjoy a quieter, easier world. The Trapp Family Lodge in Stowe Vermont built by the singing Von Trapp family, yes of Sound of Music fame, is synonymous with family-run resorts. The hills are alive here with the sound of nature, classic family values and Vermont views. 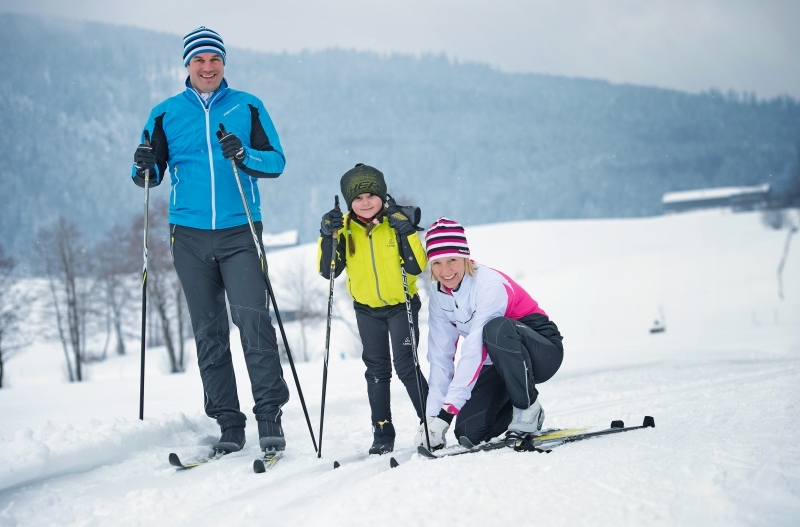 Trapp Family has extensive Nordic trails, plus nearby alpine skiing and ice-skating at Stowe. Carter’s Cross Country Ski Centers in Bethel and Oxford Maine is operated by Anne Carter and her two daughters and sons-in-law that help with the operation of the two centers. “They’ve been playing at the ski areas since they were one and half years old and then helped out since they were in middle school with the operation in the shop, grooming, and giving lessons.” Of course, the kids’ friends were attracted to the ski areas and the customers got to watch the girls grow up and then see the grandkids around the centers.